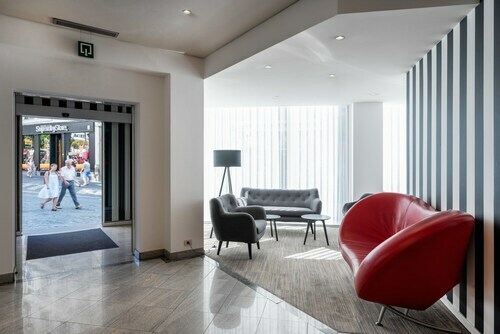 This family-friendly Brussels hotel is located in the entertainment district, within a 5-minute walk of St. Catherine's Square, Brussels Stock Exchange, and Halles de Saint-Gery. Rue des Bouchers and La Grand Place are also within 10 minutes. Bourse-Beurs Station and Sainte Catherine-Sint Katelijne Station are within a 5-minute walk. 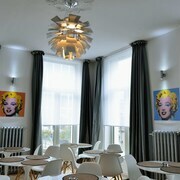 Located in Lower Town, this hotel is within a 5-minute walk of Rue Neuve and Rue des Bouchers. Belgian Comic Strip Center and Galeries Royales Saint-Hubert are also within 10 minutes. De Brouckere Station is only a 2-minute walk and Bourse-Beurs Station is 8 minutes. 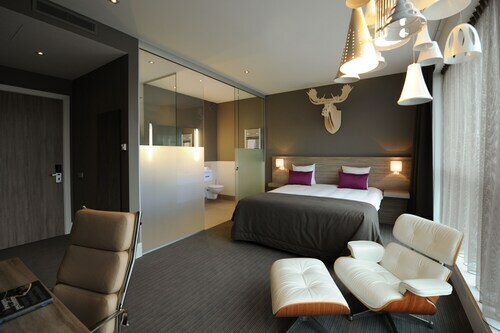 Situated in Machelen, this hotel is within 3 mi (5 km) of NATO Headquarters, Cliniques Universitaires Saint-Luc, and Train World. 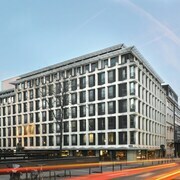 Place Charles Rogier and Docks Bruxsel are also within 6 mi (10 km). Machelen Diegem Station is 12 minutes by foot and Haren Station is 23 minutes. 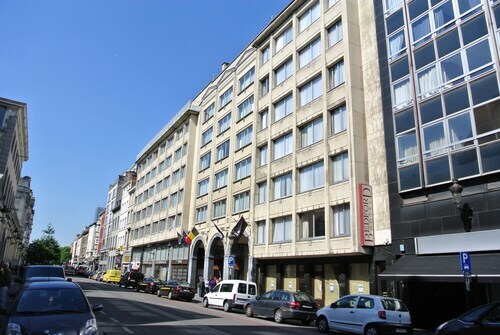 This family-friendly Brussels hotel is within 1 mi (2 km) of Midi Market, La Grand Place, and Manneken Pis Statue. Avenue Louise and Royal Museums of Fine Arts of Belgium are also within 1 mi (2 km). Lemonnier Station is only a 3-minute walk and Clemenceau Station is 9 minutes. Located in Lower Town, this luxury hotel is within a 10-minute walk of Rue Neuve, St. Catherine's Square, and Jeanneke Pis. La Grand Place and Manneken Pis Statue are also within 15 minutes. De Brouckere Station is only a 2-minute walk and Sainte Catherine-Sint Katelijne Station is 6 minutes. 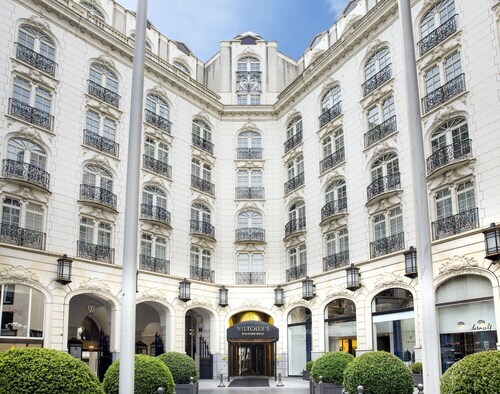 This grand hotel is on trendy Avenue Louise, in the city’s most fashionable shopping district, and within easy reach of the international business district, the Palais Royal, the majestic Grand place, and the headquarters of NATO and the European Union. 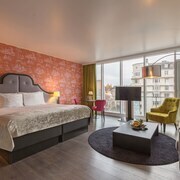 Boasting the highest viewing point in the city, this 27-story hotel towers over Egmont Park in central Brussels on the fashionable Boulevard de Waterloo, only 300 meters away from Avenue Louise. How Much is a Hotel Room in Brussels? 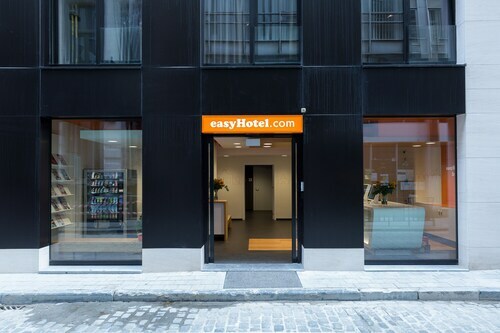 Hotels in Brussels start at C$55 per night. Prices and availability subject to change. Additional terms may apply. Brussels is a beautiful European city located in central northern Belgium. This famous town isn't just the capital of its country—it also happens to be the capital of the European Union. From chocolate, waffles, and beer to historic landmarks, this area has plenty to offer the adventurous traveler. Getting to the hotels in Brussels is a breeze from the Brussels Airport (BRU), just seven miles northeast of the city, itself. 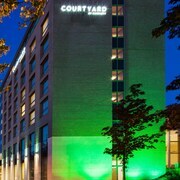 Many buses and trains will take you down into the city center, or you can take a cab to Brussels hotels just as easily. Be sure to rent a car in Brussels, however, if you want to be able to get around the city on your own terms. 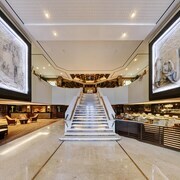 Once you check in, it's time to hit the town. Gourmands or foodies will find plenty to love in the area. Be sure to indulge in some famous Belgian chocolate, from artisan creations to familiar brands of sweet comfort. Grab a true Belgian waffle or eat at any of the city's 1,800 restaurants. Finally, Belgian beer is also a claim to fame, so feel free to imbibe some local lambic at any of the city's cafes or bars. When your stomach is done sightseeing, enjoy a healthy dose of local history and culture. The city boasts a number of museums, architectural landmarks (like the Cinquantenaire triumphal arch), and churches. The Royal Museums of Fine Arts is home to works by Bruegel and Jordaens, while the Magritte Museum features pieces solely by the Belgian surrealist himself. From art to food to history, you will find plenty to appreciate about this Belgian capital. Are you on-the-go while you plan your trip to Brussels? Get mobile exclusive deals on the Travelocity app and you'll have access to great discounts wherever you go. 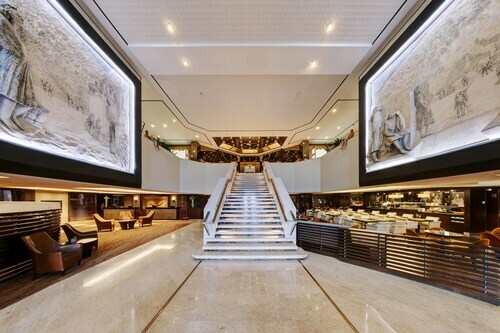 From Paris hotels to the best hotels in Brussels, the perfect travel deal is just a tap away. Once you've chosen from the numerous 5 star hotels in Brussels, find your way to one of the capital's many historic landmarks. Start with The Grand-Place, a glorious town square that showcases the best of Belgian architecture dating back to the 14th century, including the town hall and the Museum of the City of Brussels. Of course, you'll also want to carve out a little time to visit the famous Manneken Pis statue, a must-see for anyone staying in one of the great Brussels hotels. Let's just say, finding him will be a real relief. Brussels isn't just the capital of Belgium (and, if you consider the EU and NATO headquarters, the capital of Europe), it's also considered by many to be the world capital of chocolate. Some of the best bites come from this city, so you may want to pick one of the cheap hotels in Brussels and then head out into town and spend your money on your sweet tooth. Start with the father of the local craze, Jean Neuhaus. His original shop at the Galerie de la Reine would be the perfect beginning to a sweet day. You can then take things in a completely different direction and try some uniquely modern treats at Pierre Marcolini's store. Earl Grey chocolates, anyone? With majestic architecture, gourmet confections, and even some romance, it's no surprise hotels in Brussels are so popular. 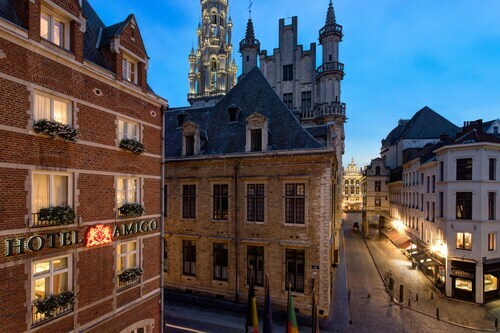 Travelocity can help you find the perfect accommodation, as well as a good deal, for your Belgian getaway.